2017 Apartment houses at Bugðu- and Álaleira, Höfn í Hornafirði. 2017 Semi detatched houses at Austurvegur, Vík í Mýrdal. 2015-16 House of the Seasons-sustainable homes. 2015-16 Reykholtslaug swimming pool. Renovation and alterations. 2013-14 Eco-cabins in Vatnajokull Region. Hornafjordur. 2012 Rauðarárstígur 27, Reykjavík. Alterations and interiors for the Minstry og Foreign Affairs. 2009 Lokastigur, Reykjavik. Detail planning in the old town. 2008 Field sports house in the land of Hamar, Hveragerdi. 2007-8 Detail planning of urban areas at Falkagata and Karastigur, Reykjavík. 2007 Residence, Kopavogsbakki 5, Kopavogur, Iceland. 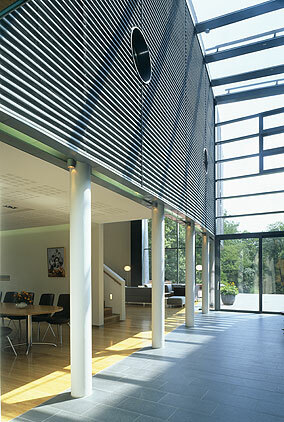 2007 Residence of the Icelandic Consul General in Thorshavn, The Faroe Islands, renovation and interior design. 2004 Icelandic Embassy Residence in Berlin, Trabenerstrasse 68, Berlin-Grunewald, Germany. 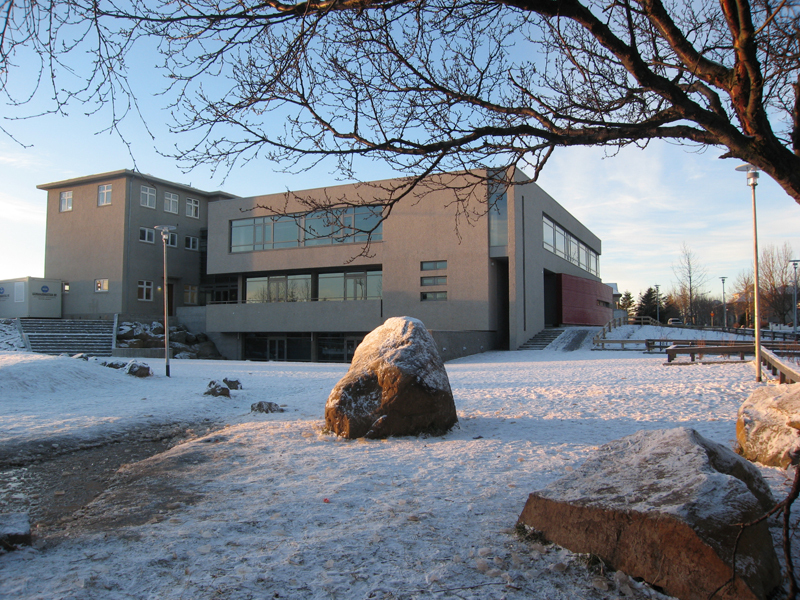 2004 Laugarnesskoli—primary school extension, Kirkjuteigur 24, Reykjavik. 2002-05 Planning of new residential areas in Flatahverfi, Akranes, West Iceland. 2001 Multi purpose community hall, Goðaland, Rangarthing eystra, South Iceland. 2001-05 Urban planning of existing areas at Dalbraut, Thorsgata and Aegissida, Reykjavik. 2000 Klettagarðar 5, Reykjavík. Industrial building for Stólpi ehf. Reykjavik Art Museum, Reykjavik Arts Festival 2000. 1999 Hotel Fludir, Icelandair Hotels, Hrunamannahreppur, South Iceland. 1998 Sports Hall, Reykholt, Blaskogabyggd, South Iceland. 1996 Neslaug-swimming pool, Arnes, Skeida- og Gnupverjahreppur, South Iceland. 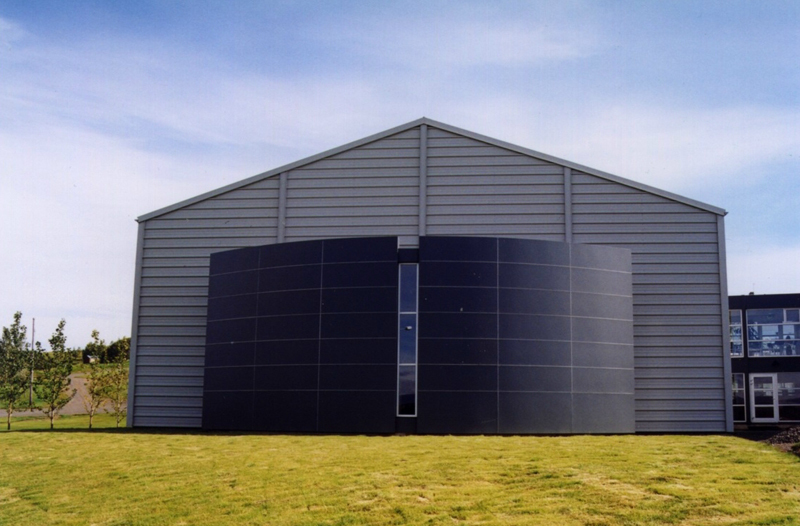 1995 Office and storage building at Smidshofdi 1, Reykjavik. 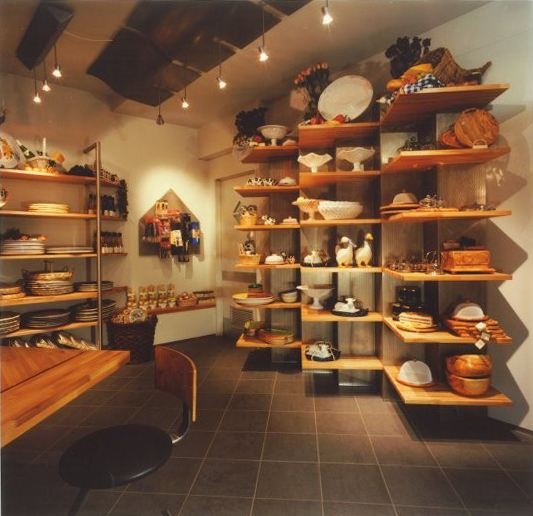 1989 - 1997 Product design: Office furniture, chair and lamp. 1985-2006 Numerous residential buildings in various parts of Iceland. The year of approval by building or planning authorities.